Click here to view a calendar of current class offerings. If you are looking for general quilting knowledge, I invite you to check out the Quilt Block Pattern Library and the Quilting Info sections of the website. These pages are cram packed with the kind of stuff I like to have at my fingertips when I create...from helpful charts and tables to information about how to construct my favorite blocks. It's just another way I'm sharing the love, and I hope you find it useful. Please pay it forward by telling your quilting friends about the site! I especially enjoy teaching project-based or skill building classes at quilt shops and community centers in my area. Click here to view a calendar of currently scheduled classes. 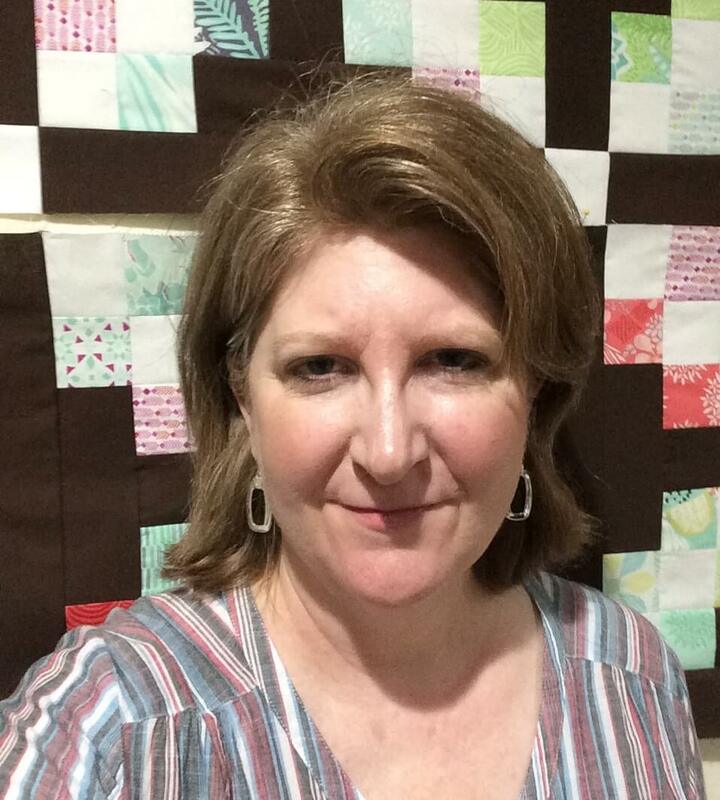 Introduction to simple quiltmaking - This class is for the novice who wants to make a simple quilt to test the waters and see if quilting is right for them. While it's technically a skill building class, this class will make a small quilt project. Classes are divided into 4 2.5-hour sessions. The first class covers basic tools and rotary cutting, reading a pattern and basic patchwork skills. In the second class, students will continue their patchwork skills by learning how to assemble blocks together in rows and how to attach a simple border. In the third class, students will sandwich their quilt and learn "stitch in the ditch" quilting. And in the final class, students will trim and bind their quilt. Basic Quilting Units - Almost all quilts are designed around 1 or more of the 7 fundamental building blocks of quilting. This class introduces beginning quilters to these fundamental units and shows them how to make each unit precisely so they can approach any quilt block pattern with confidence. Multiple tools and techniques are introduced to help each student find a technique that gives them the best results. Finishing Strong - Getting great results in the last steps of the quiltmaking process. This class will help you get the perfect finish to your quilt. We discuss different types of binding strips and will focus on different binding techniques (including machine binding methods). We learn how to get perfectly square corners, a perfect miter in a corner and how to bind quilts that are curved or have odd angles. Color Theory for Quilters - Most quilters know about the color wheel, but this class trains students to use it so they can produce the most striking quilts ever. Special emphasis is given on how to evaluate and utilize scraps to incorporate them into designs. I'd love to talk to you about presenting to your group. I am always happy to prepare a customized skill or project-based class for your group or present a talk on various design topics. You can always reach me through the Contact Form on this site.